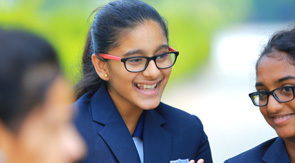 At Manchester International School, participation in a broad range of co-curricular and student-related activities is considered important and a part of our educational principles. Manchester International School provides competitive athletic prospects to plenty of students, striving for wide contribution and competitive eminence, while boosting the highest levels of sportsmanship. We acknowledge the esteem; students gain from participation in a well-organized, top quality athletic program, and are dedicated to perfection in this trail. Manchester International School believes that the welfare of the student-athlete is its main concern – physically, intellectually and emotionally. We also boast ourselves on our reputation for not only stimulating our athletes to be the best, but by also developing their social responsibilities and fostering true ambassadors of sportsmanship. The Manchester International School Athletics division endeavors to offer a variety of opportunities to a large number of students, developing skills and sportsmanship while aspiring for excellence and fostering friendships. The Athletic division is responsible to organize, making the student effective participation in inter- school Sports. We are driven on offering students the opportunity to shine at the sport they love whilst not taking them away from their academic studies, and trust that commitment to physical excellence promotes discipline and the will to succeed which favourably influences all areas of personal and academic development. We firmly believe that there is a sport and physical activity for everyone.At Manchester International School we offer a wide range of well-known sports. Manchester International School offers immense opportunity for personal achievement and growth across the sports spectrum. We constantly observe and adapt our educational offer to ensure we support all students fully. Within the PE department students have great opportunity for personal performance achievement, with the emphasis placed on acquiring skills whilst nurturing students’ individual talents to ensure they reach their personal potential. Regular practices help improve skills and techniques and provide a firm foundation for student training and progress. From an academic viewpoint, promoting adequate sports and social activities is mutually beneficial for the academic achievement. These activities would inspire students’ creativity and curiosity, so, not surprisingly; they would possibly perform better in academic research. Students learn more positive spirits from sports activities than from libraries. Through participation in sports activities, students learn teamwork, sportsmanship, winning and losing, the rewards of hard work, self-discipline, build self-confidence, and develop skills to handle competitive situations. These are qualities that students need to become responsible adults and productive citizens.